The local organizer of the Rc06 seminar in Dublin, Michael Rush, is our guest blogger this month. Michael, Tony, and their team organized an outstanding event for our community and we are thrilled to share this post with our members. Please leave your comments and feedback below. 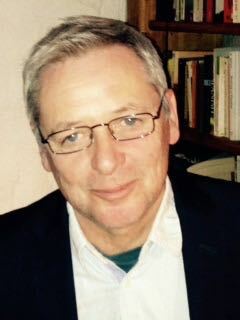 Michael Rush is a College Lecturer in the School of Social Policy, Social Work and Social Justice at University College Dublin and member of RC06. From 2009 to 2013, he was the government appointed representative for Ireland on the European Union Alliance for Families Network. His new book is titled “Between Two Worlds of Father Politics: USA or Sweden?” It is published by Manchester University Press (2015). The book presents a critical framework for comparing ways of understanding fatherhood and national variations in ‘father-friendly’ parental leave policies, Child Support Schemes and variations in the decline in patriarchy across advanced capitalist regions and welfare states including, the USA, Sweden, the European Union, Ireland, the UK, Japan and China. Other new publications include Rush, M. (2015) “Theorising Fatherhood, Welfare and the Decline of Patriarchy in Japan”, International Review of Sociology/Revue Internationale de Sociologie Vol 25, 3, plus Rush, M. And Seward, R.R. (2015) ‘Changing Fatherhood and fathering across cultures towards convergence in work-life balance: divergent progress or stalemate?’ In Crespi, I. & Ruspini, E. (eds) “Balancing Work and Family in Changing Society: The Father’s Perspective”, New York: Palgrave MacMillan. With his partner Liz, they have two sons, Tadhg and Lorcan. You can find him here. Alongside my esteemed colleague Professor Tony Fahey from our School of Social Policy, Social Work and Social Justice, I had the privilege of organising the annual ISA RC06 Committee on Family Research seminar for 2015 in the fair city of Dublin, on the island of Ireland. Our proposal to hold the 2015 seminar in Dublin was accepted by the Board of RC06 one year previously at a specially convened meeting during the XVIII ISA World Congress of Sociology in the city of Yokohama. In attendance for the meeting were Chin-Chun Yi, the President of RC06, from Academia Sinica, Taiwan, and Mark Hutter, the Vice-President, from Rowan University, USA. Also present was out-going board member, Rudy Ray Seward, who is considered a friend by many, including myself, and with whom I have had the opportunity of co-authoring several conference papers and also a co-authored book chapter on global fatherhood and work-life balance policies. One of my lasting memories of the ISA World Congress in Yokohama was “Our Message to the World” from the Japan Sociological Society, which emphasised supranational sociology and the call for “involved” social scientists to inform public policy making in the wake of the Great East Japan Earthquake. The resonance of this message now echoes even more loudly as refugees crossing the Mediterranean Sea urgently plead for transnational policy settlements and solutions to the Refugee Crisis. At the heart of the Japan Sociological Society’s (JSS) Message to the World was a fresh dedication to principles of internationalization and international co-operation that have been maintained by the ISA since its establishment in 1948 and by the JSS since its establishment two years later in 1950. So, when it came to choosing a theme for the 2015 RC06 seminar Dublin, it seemed like a progressive move to build on the principles of internationalisation and to focus specifically on individualisation in relation to family policy. It was this type of thinking which led us to arrive at the title of ‘Individualisation, Internationalisation and Family Policy’ for the Dublin seminar. The title of the seminar reflected my colleague Tony Fahey’s research in family sociology, family policy and demography and my own research on comparative family policy, welfare state variations, gender, fatherhood and the decline of patriarchy. Our proposal to host the RC06 seminar was enthusiastically supported by the School of Social Policy, Social Work and Social Justice, in the College of Social Sciences and Law, University College Dublin (UCD), which is Ireland’s largest university with almost 25,000 students. This support was critical to the success of the seminar. As was the location of the seminar in Dublin, which is famed in literature, song and verse and which acts a gateway to Ireland’s wild Atlantic western coast and the beautiful coastal and mountainous scenery of counties Cork, Kerry and Wicklow. However, what was critical academically was the title of the seminar which attracted papers on the decline of patriarchy in East-Asia and a range of papers on how family policy was responding to the rise of individualisation in inter-generational and adult relationships. The seminar identified convergence around reduction in ‘sib size’ or the numbers of biological siblings we grow up with, which was presented by my colleague Tony Fahey as a phenomenon of ‘individualisation’ that was reducing inequality over time across families in the USA. From South American colleagues we learned about the limits to the ability of families to sustain social cohesion. In addition, adolescence was presented as a period of increased risk in the life-cycle by colleagues from across the globe including those from the USA, Africa, and South America. Several papers highlighted the role of economic precarity in weakening the capacity of families to offer care and welfare, especially to older family members. Other papers showed evidence of new intergenerational dependencies being created in the West while in East Asia, on the other hand, the decline of patriarchy was seen to be loosening or individualising intergenerational ties as married partners concentrated on looking after each other’s older parents rather than both partners looking after the husband’s parents. Indeed, the individualisation of caring responsibilities between men and women in families, both for children and older people, and concepts of shared parenting and shared residencies for children featured in a number of presentations. My paper focused on the concept of individualisation as applied by family policy and social policy to ‘non-transferable’ quotas of parental leave being made available to mothers and fathers and how this type of Nordic approach to parental leave was being adopted by several European Union member states. My presentation also highlighted that the USA and the English-speaking welfare states were lagging behind the EU states in the provision and individualisation of well-paid family leave or parental leave but that Japan had taken a ‘Nordic turn’ towards individualisation and gender equality in work-life balance policies. It is not possible to mention all the papers, as there were over fifty presentations over three days but we had the opportunity to discuss topics which varied from young marriage in Taiwan to reproductive services and abortions or terminations in Israel, India, Ireland, Great Britain and Australia. We were especially happy to see a strong representation of scholars from East Asia and other world regions outside of the European and Anglophone spheres. The breadth of international participation gave the seminar a wider perspective on welfare state development and family policies. The presentations made clear that that international cooperation towards gender equality was considered to be a global ‘public good’ and that family policy debates about balancing paid work with care concerned the ongoing development of both men’s and women’s social citizenship rights as workers and carers. In this regard it was refreshing to hear children’s social citizenship rights being highlighted in relation to their equality of access to parents’ separate residences and the findings from Spain that older people did not want to be a burden on their adult off-spring. The lesson for family policy was that welfare states require systems of social care to support working parents across a range of household types and children and older people required levels of de-familization for access to quality social care and child care outside the family. Where care was being re-familized progressively, it was not through families having to crowd together in the face of austerity and precarity, but through the provision of individualised and ‘non-transferable’ quotas or periods of well-paid parental and family care leave. To finish on a lighter note, the partners and children many participants brought to the Dublin seminar to enjoy Ireland’s scenery and hospitality made the occasion all the more memorable and pleasurable. Many partners and children came to the evening reception in Ardmore House on the UCD campus, which turned into a lively family event with children’s laughter ringing out loud. What also added to the success of the seminar was the number of new RC06 members in attendance. At the reception, Chin-Chun Yi asked all the first-time attendees at an RC06 event to raise their hands, and there were many. Chin–Chun then asked all the participants from East-Asia to raise their hands and they were many also. 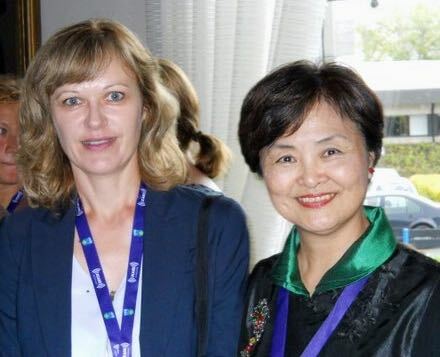 Indeed, Chin-Chun remarked that it was probably the largest gathering of RC06 family scholars from East-Asia she had witnessed coming together outside East-Asia. Finally, Chin–Chun asked all the new RC06 members to raise their hands and there were many of these also. It was important too, though, that many long-standing RC06 members attended the Dublin seminar including our Honorary President and internationally esteemed scholar, Jan Trost, who graced the seminar by chairing sessions and providing lively participation throughout the Q and A sessions. The opening reception in Ardmore Housed also benefited from the presence of Renata Kaczmarska, the United Nations Focal Point on the Family, who is based in New York, but who travelled to the RC06 seminar to network with ‘involved’ social scientists with a view to developing more informed global family policy initiatives (see her picture below). Renata gave the opening speech for the seminar. She emphasised the importance of networking between family policy scholars and global family policy makers. The Radisson Blu St Helen’s Hotel, just across the road from the UCD Belfield Campus, provided the location for the keynote paper by Professor Göran Therborn, which offered a state-of-the art perspective on Dialectics of Individualisation followed by a lively Q and A session. The keynote paper was followed by a drinks reception with accompanying music from an Irish harpist and a seminar dinner of fine Irish produce and free flowing conversation and laughter. It was a great privilege to organise the Dublin 2015 seminar and we hope it long stays in the memory of RC06 members who came along. On behalf of Tony and myself, we would like to thank Paula McGarry, Jennifer McGowan, and Elizabeth Hassell from the management and administration sections of the School of Social Policy, Social Work and Social Justice, plus Breda Byrne and Orla O’Dea from the UCD Procurement Office, who all contributed hugely to the smooth progress of the seminar. Finally, I would like to thank Barbara Barbosa Neves, the RC06 Secretary and Treasurer, for inviting me to write this guest blog and for her invaluable support in organising the Dublin 2015 seminar. The presentations mentioned in this blog post along with most of the others from the Dublin seminar will be available online soon and a link will be provided in our next newsletter.